My initial task as the Senior Designer was to re-evaluate the current print designs and solve several pain points experienced by the users. The first was to limit the size of images on all creative. 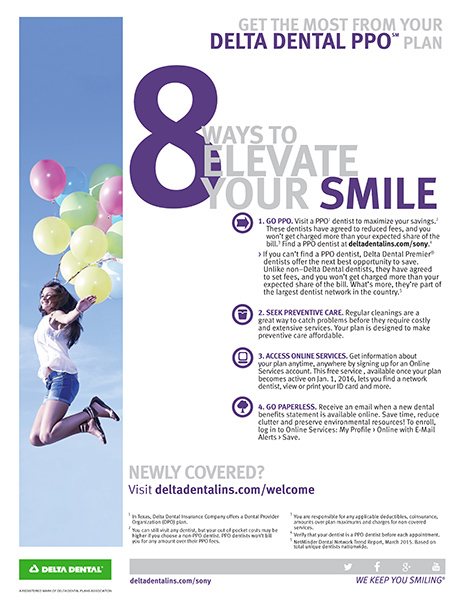 Users expressed concerns for the amount of ink being used to print each flyer in their offices. I was also tasked with solving consistency issues that occurred between documents. Lastly, new branding rules and healthcare requirements needed to be incorporated into all documents. The documents below represent legacy files. 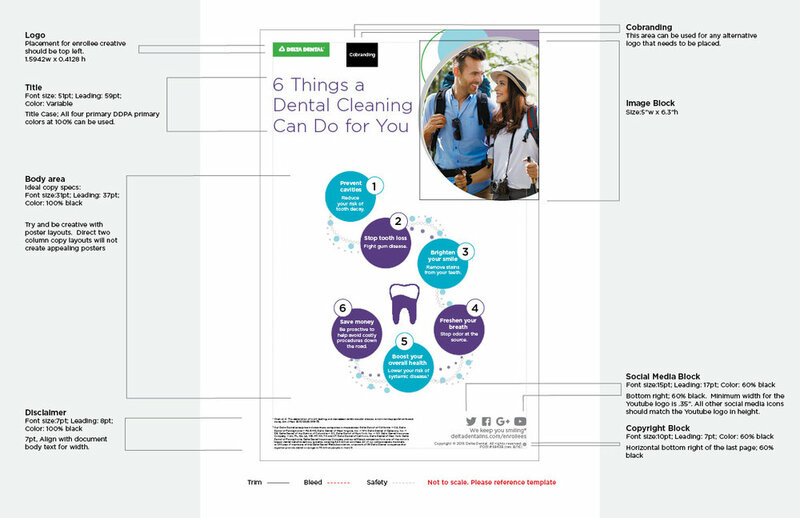 The first step in redesigning the print creative was developing style guides that would dictate how all elements should be incorporated. 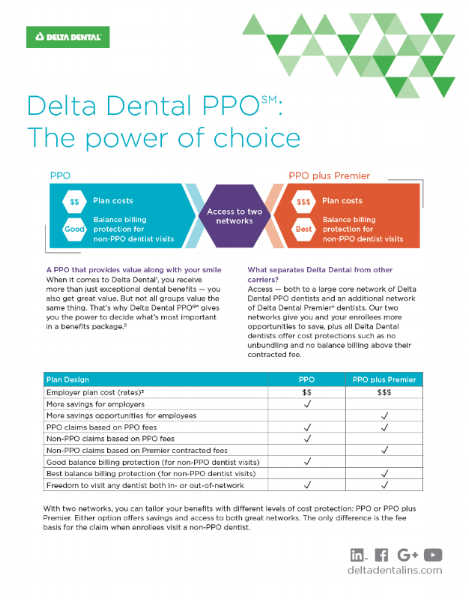 Delta Dental has approximately 7 main audiences including the four we were responsible for. Each style created needed to appeal to the intended audience but still look like they are coming from the same company. 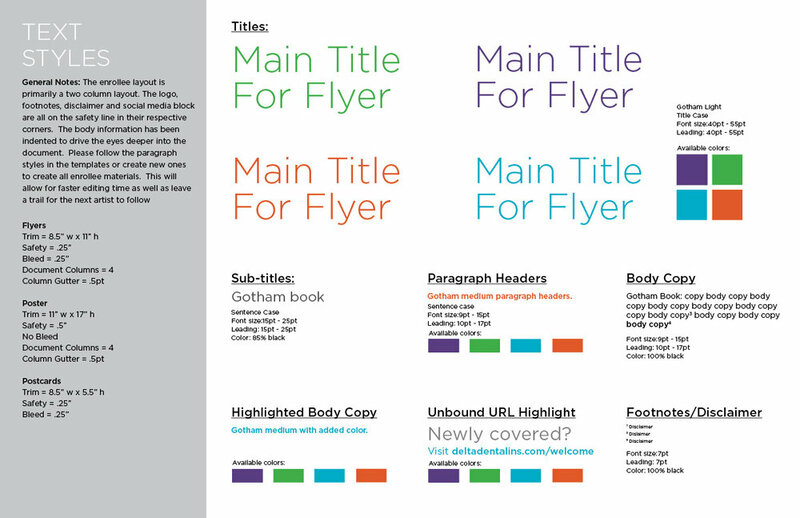 The style guides below illustrate creative for two very different audiences. The first is intended for our enrollee group (the insured) and the second for our broker group (sellers of insurance plans to large groups). 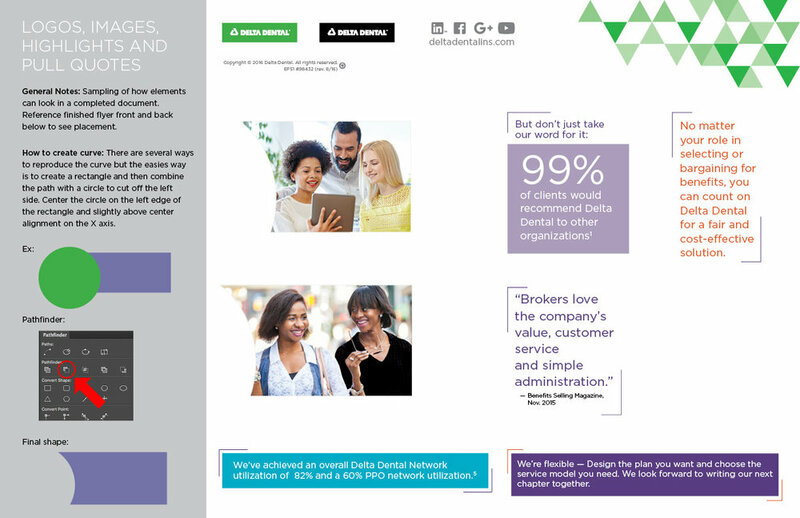 Below are examples of resulting creative based upon the style guides above.